Of course before we have kids many of us have never heard of certain child brands, but when our princes and princesses are born it opens a whole new world of brands to us as parents. Buba took a shine straight away to his Oxo Tot Water Bottle. He never did like sippy cups. He prefers ones with straws so this is perfect for him. The non-slip grip top is easy for him to twist open and close. He found it wildly entertaining that a straw magically appears, to drink from. Many straw cups cannot be closed and spill everywhere, with a hyper child like Buba, I need it to be able to close to prevent spilling. The quality is really good, I think you get what you pay for here. It’s BPA free and dishwasher safe. Going out for the day? It holds 300 ml, for a whole day out! I was impressed with the opening too, most straw cups have tiny openings. It’s wide enough to put my whole hand in it to clean and you can easily put ice in it if its a hot day. I have been secretly known to sneak it to the gym for myself too but I won’t tell anyone if you don’t. It truly is a great water bottle. Like his mother, Buba is obsessed with containers. I have bought numerous snack cups over the years for Buba and Missy Moo but have been disappointed. Other snack cups that have the reach in method, I found, were hard to get your hand in and out of and I have never seen one with a convenient lid to keep snacks fresh and secure. 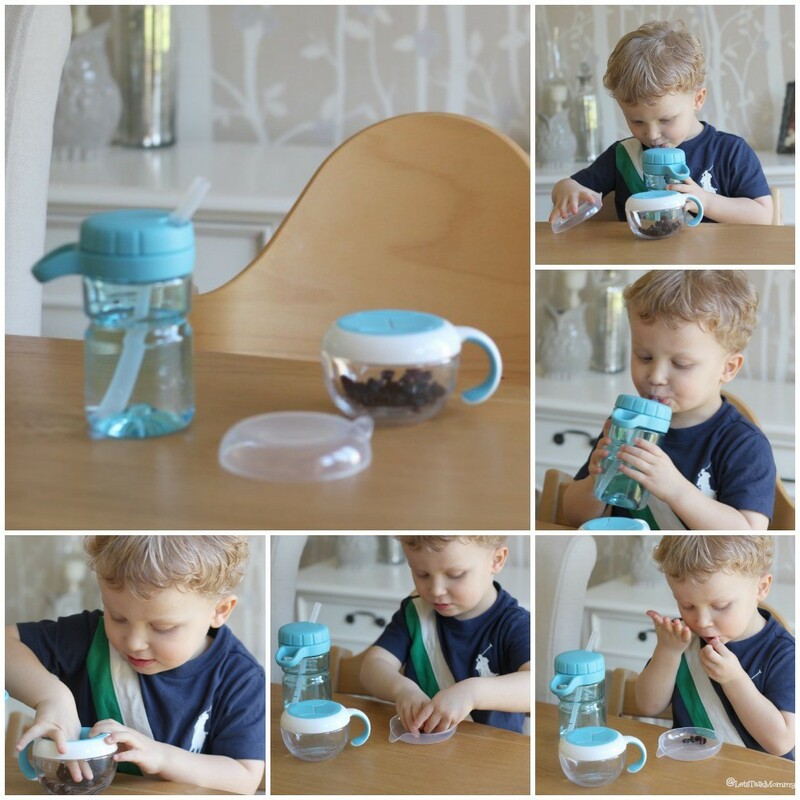 I was thoroughly impressed with the Oxo Tot snack cup not only did it have a softer middle for pulling snacks in and out, easier but the lid was easy for Buba to snap on and off, all by himself. No more cheerios and raisins at the bottom of the nappy bag. (diaper bag) Hurray! I had a few Oxo Tot bowls for Buba when he was little but we sadly lost them while travelling. I am happy to have this gorgeous raspberry set for Missy Moo now. Not that color matters, half of Missy Moo’s Oxo Tot products are green from when Buba was a baby. 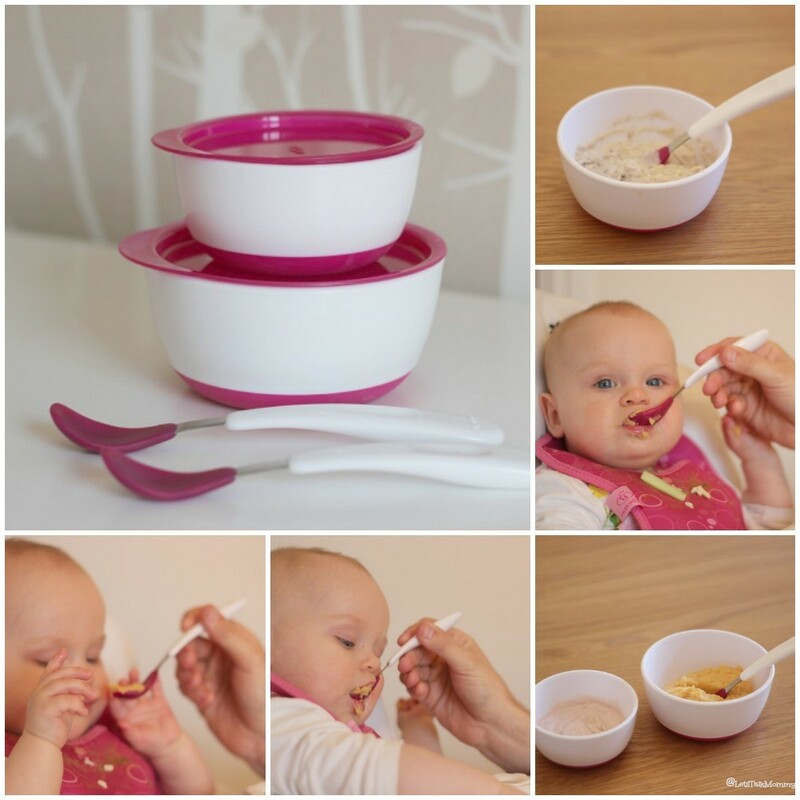 I love how innovative these bowls are in helping baby feed themselves. They have straight side walls to help baby scoop food on their spoon. The bottom has a non-slip grip to it to help prevent the bowl from running away from them, which Missy Moo’s bowls usually do, she is a very excited eater! It’s a versatile set. I used the large one for lunch and dinner time along side the small one for Missy Moo’s desserts or fruit. The small one is perfect for her breakfast too! I love that they come with tight snap on lids which make it great for packing meals on the go, storing leftovers, or using for snack containers. * BPA, Phthalate, & PVC free. Top rack dishwasher safe. Missy Moo has been teething ever so badly lately so anything that she puts in her mouth has the potential to hurt her sore little gums. This makes feeding time, sometimes unpleasant. When I started usually Oxo Tot’s silicone spoons I really saw the difference. Their silicone covering is gentle on baby’s gums and mouth. She preferred these over rubbery spoons. The Oxo Tot spoons are smaller and not as wide as other brands which makes it easier to to feed her without touching so much of her sore gums. I am notorious for putting too much food on Missy Moo’s spoon, for one bite, the handy shallow dip on these prevent me from doing it. My favourite thing about these spoons are the long, angled handles, making it easy to feed her from the side and scoop up any leftovers on her pretty, little, messy face. Missy Moo sits to the right of me at the dining room table. It can be challenging to feed her on an angle while I am trying to eat my own dinner with the rest of the family so the specially designed handles really help out. I had to share with you, the packaging. I was in utter AWE of how easy it was to open the packaging. I am usually the one that attempts to pry it open, in frustration of my lack of strength, I grab the scissor and not only make a mess of the whole thing, somehow I always cut my hand on sharp edges that I have created with the scissors. So when I went to open my new Oxo Tot products I was once again excited that one of my favorite brands had got it right. The back pops open and the items are free to use! Now, that’s great packaging. Love what you see, check out more Oxo Tot products HERE. I am loving our Oxo Tot Baby and Toddler products and love sharing them with all of you! 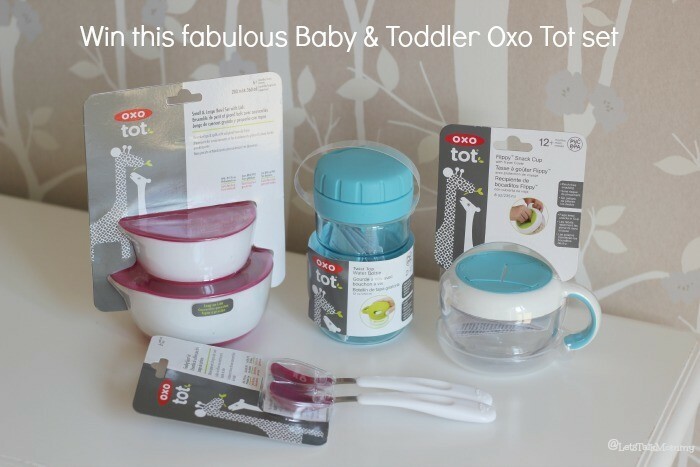 I am excited to also share the chance to WIN your very own Oxo Tot Baby & Toddler Product collection below! Get your entries in today and you could be feeding in luxury with all of this! Don’t have young children or children at all, don’t count yourself out, these would still make a great present! 1 Winner 4 Great Products! Contest Rules: * UK residents only. * Colours and items are as shown above, no exchanges. * I was sent these products for the purpose of this review but all opinions, and pictures are my own. « Poem 42: Who Will It Be? I know me too, they are fantastic. Good luck to win my lovely. Thank you Lynne. They really are. Good luck!!!! Amazing – this brand is really on the rise – I have read so many great reviews! Thank you Tracy. I agree. I love their entire range, their kitchen utensils are fab too! Hope you got your entries in to win. Good luck. I love them. We already have some and they’ve made a huge difference to my son’s eating. Thanks Emma, always room to have more, especially for free. Hope you got your entries in! I agree Judith, I love all their stuff. I started off with baby stuff but their entire range is fab! wonderful! would love these for our baby Grandson! Best of luck to you then to win! I agree he would love them! We love ours. I have a few other giveaways going on right now too, check under reviews! (he might even like a Lullaby Light Up pillow too) Thanks for stopping by. Yes, I think so too right down to the packaging, I was impressed. I have been using them for years so I know they truly stand up to their quality and worth the money. Hope you got your entries all in. Best of luck to win! I agree, I even have some of their kitchen range too. It’s not just great baby products. Good luck! Thank you Simone. I think so too! Hope you got your entries in to win! Best of luck! That’s great that you have had a chance to try some of their products. I am addicted already. The plates are great because both my kids are excitable eaters and food usually ends up off their plate. These four are my new favorite products. I even use the water bottle myself. 😉 shhhh don’t tell anyone. Good luck! I love the snack pot, haven’t tried them before but they look fab! Being totally honest I’d not heard if OXO before. I’ve a 5yr old boy an 30wks pregnant with my second… this range looks perfect for any parent!! Thanks Leanne. Oh I love their plates for my two as well. Best of luck to win!!!! Thank you Victoria. I hope you got all your entries in to win. If you don’t need them they make great presents!!! Good luck! What a fabulous idea Tracy. It’s always easier to have a set of your own then packing up everything. 😉 Good luck!!!! Thanks Bex. I hope you got your entries in to win! Best of luck. Us too. Good luck Hannah! These are great products and so useful!! I love how modern and sleek they look; they ooze quality. Thanks Angela. So true. I love the colors and how modern they are too. Thanks Katie, or enter for her and give them as a present!!! 😉 They are amazing. These products look great! 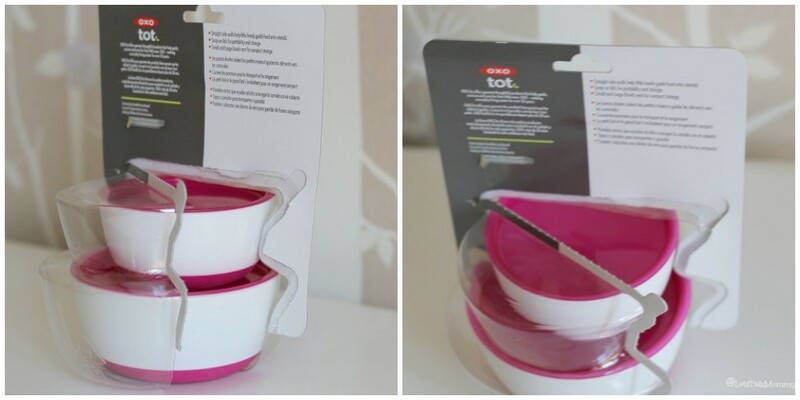 I’ve been really impressed by the quality of the OXO kitchen products I have, and it looks like the OXO TOT range has the same quality and attention to detail. Yes I agree Liz, Oxo Tot is such good quality. Thanks Lynn, best of luck. Haha it’s definitely worth sharing. Get your entries in and you could win one instead!!! Good luck. Oh dear flying snacks, something to look forward to. lol Thanks hun. Sounds just like my son. 🙂 Good luck to win. Thanks for stopping by. They look stylish and sturdy. Thanks Claire they really are. Good luck to win! That’s what I thought. Everything I own in pink is this darker raspberry color instead of baby pink. so fab to have prodcts designed so well, love the look of the cutlery! Thanks Emma for stopping by and commenting. Wish you best of luck. 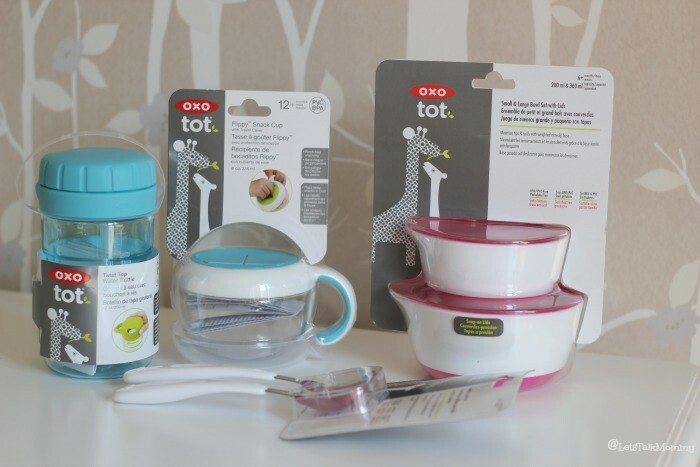 I’ve never used Oxo tot products before but these look great! Oh you must try them out. They are amazing. Hope you entered to win yourself some!!! They make good pressies too! They look very practical but also stylish at the same time! I agree! I can’t take mess at all. It’s hard to let my two feed themselves because it gets everywhere. Oxo tot products really do help with all that. I love all their feeding products. Good luck to win your own set!!! Hope you got all your entries in! I love these products and a fantastic blue colour. They are great, and really worth the money. I hope you got your entries in to win your own set!!! Good luck. They look really hard-wearing & usable. They really are, the quality is superb!!!! I agree, I am in love with them all. My cupboard is filling up fast. 😉 Good luck to win your own set. These look brilliant and would love the opportunity to try and hopefully WIN these for my little boy! Thank you. Best of luck to you to win!!! Thanks Kirsten, they really are. You wouldn’t be disappointed. Good luck. Exactly, I love the colors especially the green. It’s my favorite, I tend to buy it in green to use for both of mine but they both have blues and pinks too. So modern. I totally agree. Hope you got your entries in to win Jake this lovely set then. We love ours. So helpful. I am in need of plates next I think we lost ones from when Buba was little. They really do help them get food on their spoon and feed themselves. Amazing. These are great products if you haven’t ever used them before you won’t go back after you have. I haven’t I love them. Good luck to win your own set. The products look great – would love to win and try them! I love the look of these look very sturdy but still really nice looking, i have an oxo tot sprout highchair which i love. Oh I really wanted that highchair. It’s great. I love the colors and how modern they look. Good luck to win. I think they look really attractive. Me too, love Oxo Tot colors. Good luck! Good luck to win. I love ours and you will too. Great quality. Good luck to win! Not long to wait now! They really are, best wish to win this lovely set. The colors are my favorite! So modern. They really are. Good luck to win your own set. We love ours I am so impressed with them. Yes try are! Good luck! What a thoughtful idea for your Neice. Oh fab. Good luck then!!! I love them and know that they will be constantly used by my grandbabies! I am always using ours. They last and are so durable. Good luck. I’ve never tried any OXO products before but have heard good things about them, going to be starting the weaning adventure later this year again so these would be fabulous. Good luck. I hadn’t either now I won’t use anything else. Love the plate. I lost ours from Buba need to buy missy moo one. So helpful when teaching them to learn to feed themselves. Good luck. The lids are my favorite part. I use them to store snacks in too. Best of luck. They really are. Good luck. Best of luck to win. Thank you. Yes they will be perfect and then save the older items for when she is a tot. Best wishes on your new addition soon. Thanks for stopping by and commenting. Good luck to win the set. Only a few hours left. They are so modern I love it. I’ve not got any OXO products, but they look great. I’d love to try them! Good luck to win, they really are, you won’t use anything else after. I love OXO products, very keen to try the baby range. It’s fantastic. You wouldn’t be disappointed. Good luck. I do love ours. Best of luck my dear.